Yokai…Japanese spirits. Most people fear them, and a few people even hunt them, thinking they are horrible monsters to be destroyed at all costs. But young Hamachi wants to be friends with them! He sees them as mischievous creatures that could coexist peacefully with humans if only given a chance. 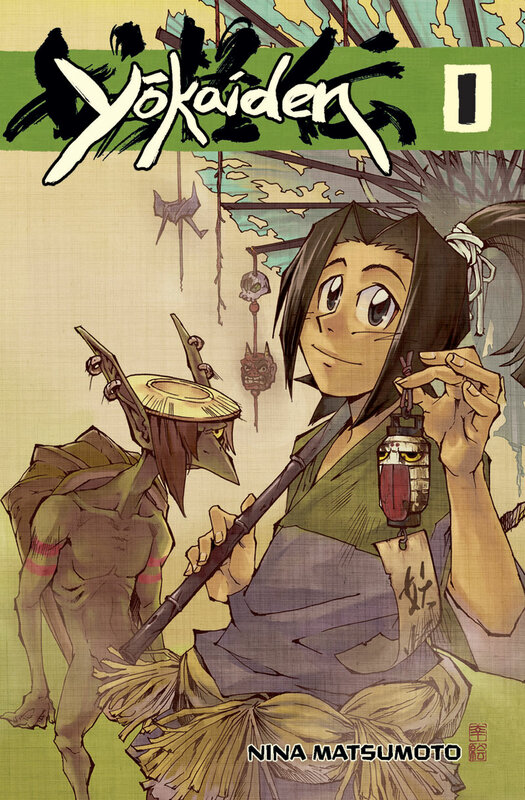 When his grandmother dies under mysterious circumstances, Hamachi journeys into the Yokai realm. Along the way, he encounters an ogre who punishes truant children, an angry water spirit, and a talking lantern. Will Hamachi be able to find his grandmother’s killer, or will he be lost forever in another world? More reviews of Yokaiden 1 at Amazon, Chapters and Goodreads!